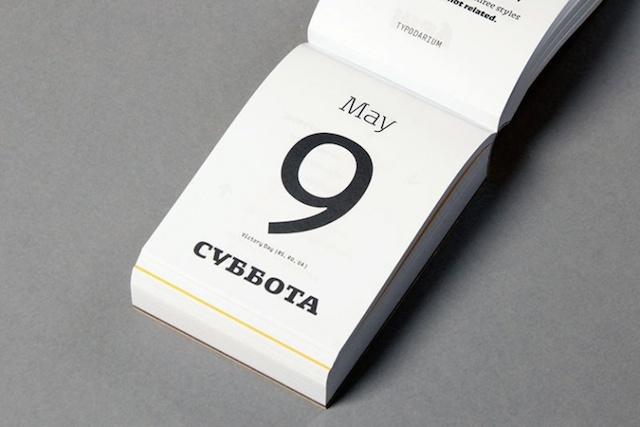 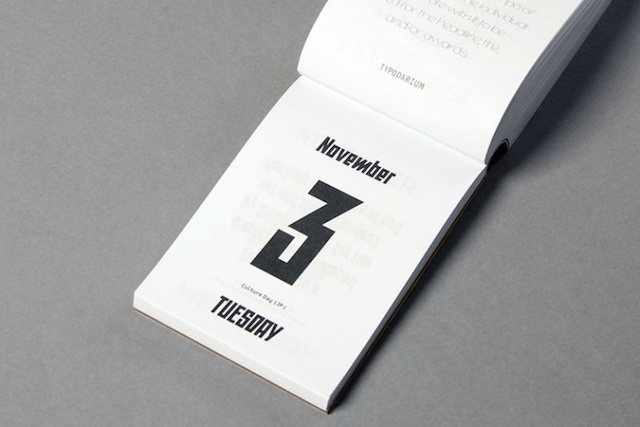 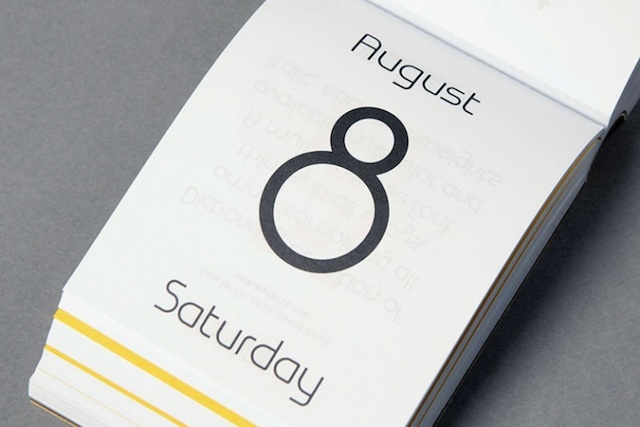 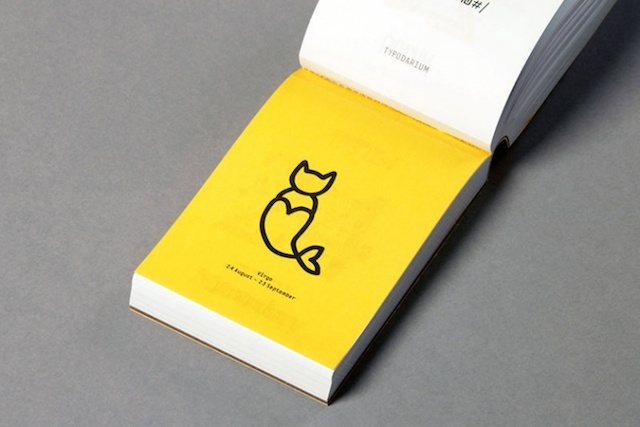 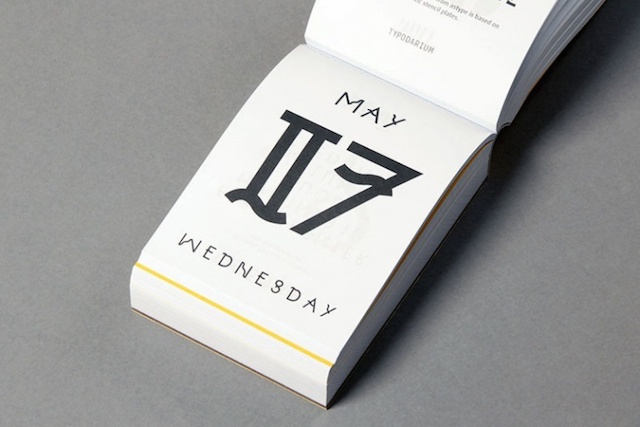 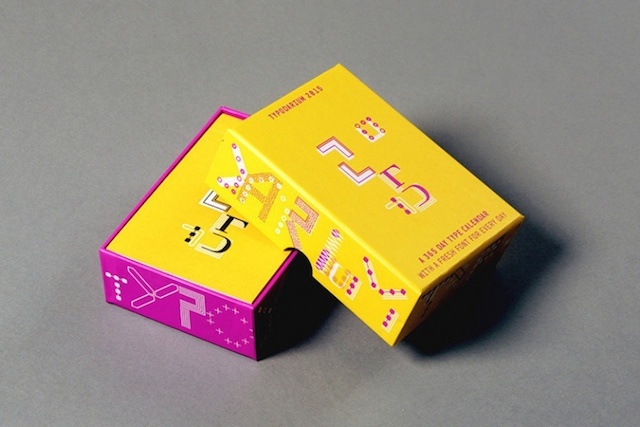 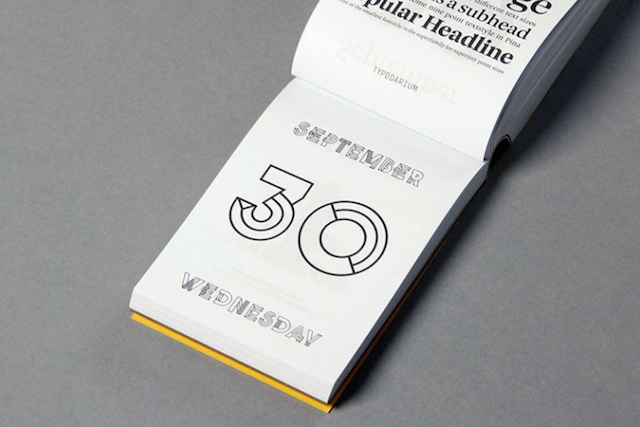 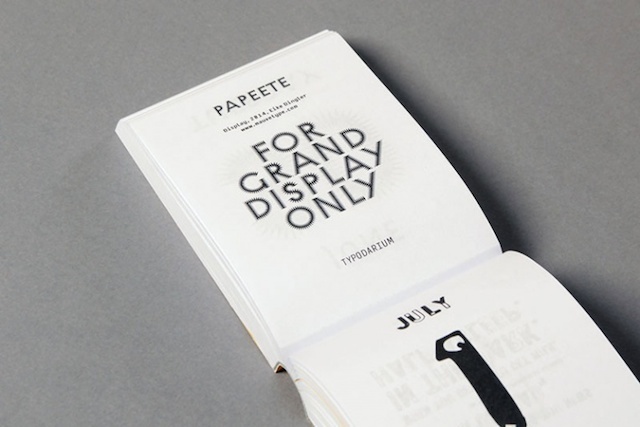 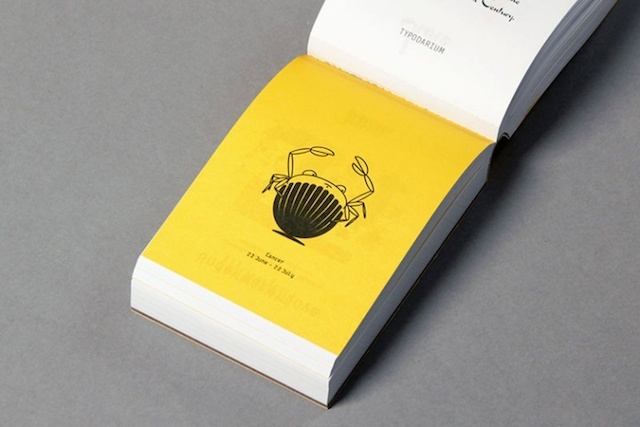 Typodarium Calendar for the year 2015, has been created by Slanted Publishers. 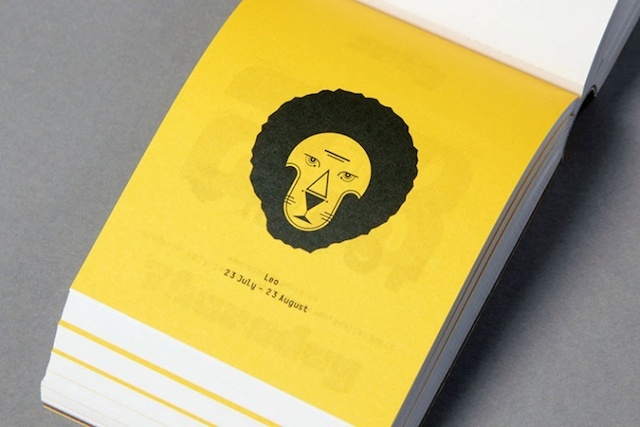 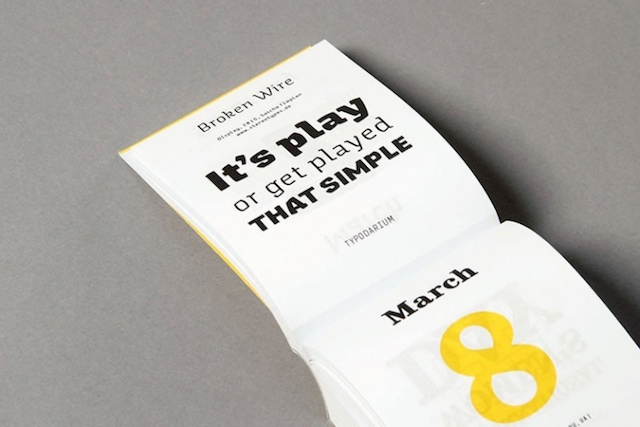 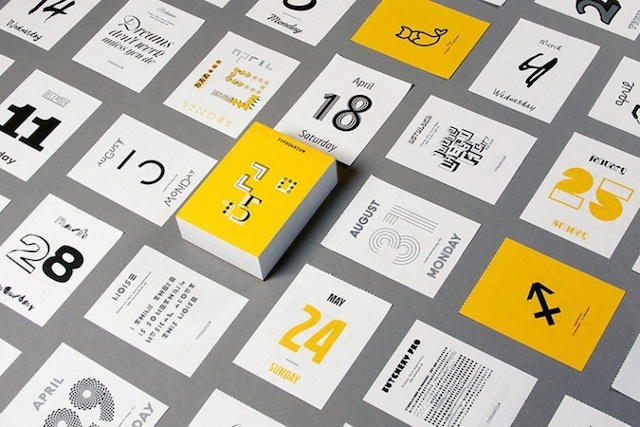 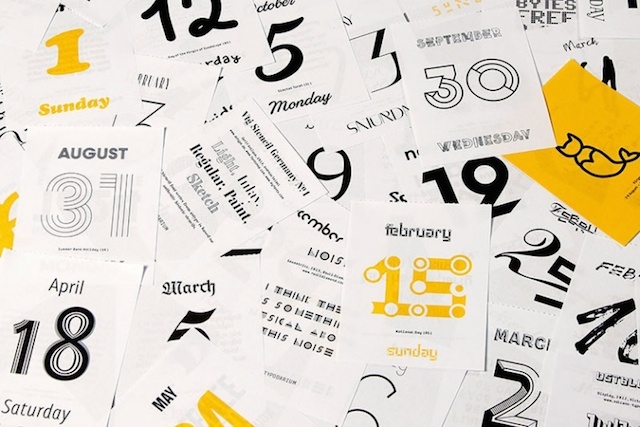 Like the others calendars, it gathers 365 fonts in yellow or black made by 223 designers from 31 different countries. 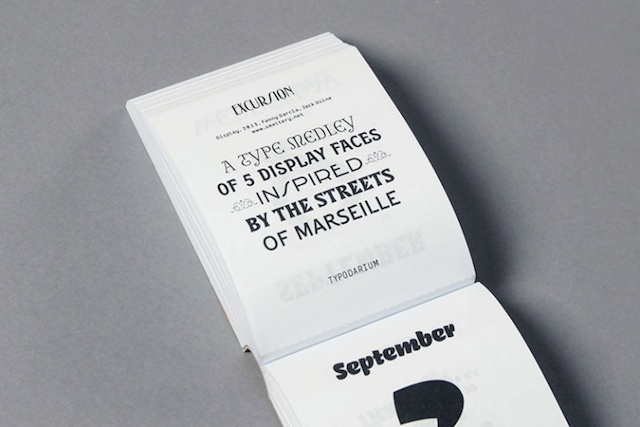 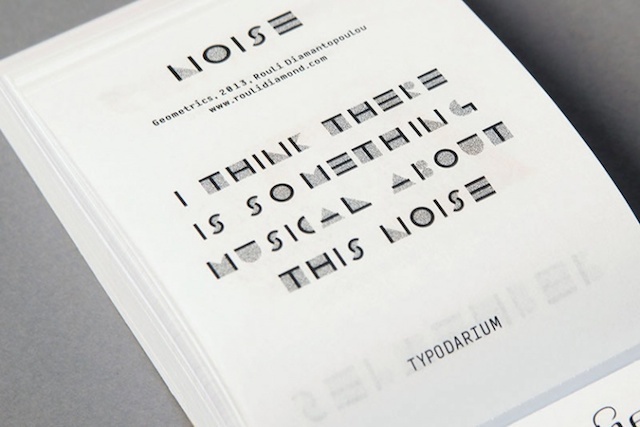 A daily typography inspiration to discover on 384 pages.